The UAE has affirmed that it has not issued any legal or administrative laws or orders relating to the expulsion of Qatari citizens from UAE territory since the announcement of the severing of relations with Qatar on June 5, 2017. The UAE's Ministry of Foreign Affairs and International Cooperation also said it had not taken any action to expel Qatari citizens and nationals who remained in the UAE following the expiry of the 14-day period referred to in the announcement, a Wam news agency report said. 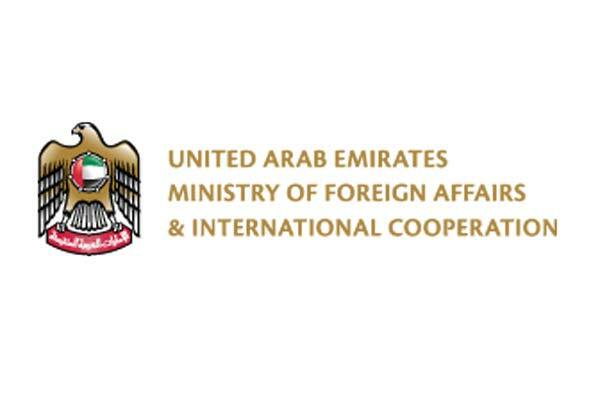 The ministry's statement said: "Since its announcement on June 5, 2017, pursuant to which the United Arab Emirates took certain measures against Qatar for national security reasons, the UAE has instituted a requirement for all Qatari citizens overseas to obtain prior permission for entry into the UAE. Permission may be granted for a limited-duration period, at the discretion of the UAE Government. "The UAE Ministry of Foreign Affairs and International Cooperation wishes to confirm that Qatari citizens already resident in the UAE need not apply for permission to continue residence in the UAE. However, all Qatari citizens resident in the UAE are encouraged to obtain prior permission for re-entry into UAE territory. "All applications for entry clearance may be made through the telephone hotline announced on June 11th, 2017 (+9718002626). "As a result of the false accusations made by the State of Qatar against the UAE, the UAE deems it necessary to affirm its long-standing policy on the entry and residence conditions applicable to persons of Qatari citizenship. Since the announcement severing relations with Qatar was made by the UAE Ministry of Foreign Affairs and International Cooperation on June 5th , 2017 in support of the same decisions of the Kingdom of Bahrain and the Kingdom of Saudi Arabia, the UAE has not issued any legal or administrative laws or orders relating to the expulsion of Qatari citizens from UAE territory. The UAE took no action to expel Qatari citizens and national who remained in the UAE following the expiry of the 14-day period referred to in the June 5th, 2017 announcement. "The UAE regrets that Qatar continues to misrepresent the UAE’s policy on the entry and residence conditions applicable to Qatari citizens. The UAE affirms its full respect and appreciation for the people of Qatar," the statement said. It also said the UAE will continue to maintain all measures instituted against the Qatari government to address the threat it poses to regional security and the people of the UAE.